This summer, 3 stratospheric balloon campaigns are being conducted in West Africa to study the mechanisms of the African monsoon for the AMMA* international research programme. A press trip was organized to Benin and Niger for a dozen European and African journalists in July to highlight why we need to monitor the monsoon. The West African monsoon is a perfect example of a meteorological phenomenon not confined to the Indian peninsula but which in fact occurs around the globe. From June, winds carry moisture from the Gulf of Guinea to the African continent, generating squall lines and bringing heavy rains — the only rains replenishing the Sahel’s water resources. 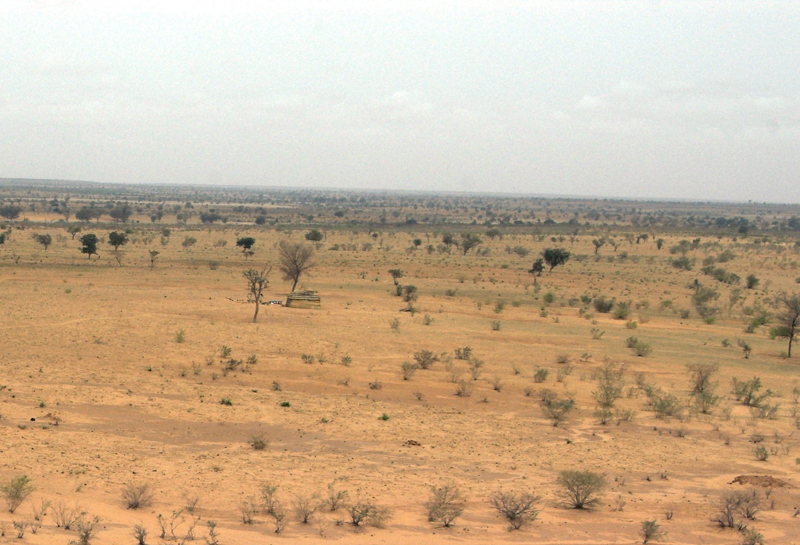 Yearly variations in the monsoon make it doubly difficult for the Sahel to implement farming strategies. What is more, the region has experienced big long-term variations in rainfall, which has declined by nearly 40% since the 1960s. As a result, solutions are urgently needed to help local populations striving to cope with increasingly severe drought conditions. The international AMMA mission presented on the press trip is seeking to analyse interannual and interdecadal variability of the West African monsoon, with the aim of improving weather forecasts and climate models. AMMA is a French initiative that enjoys broad support from the international science community. Early in July, a dozen European and African journalists were able to see how data from ground-based instruments, planes, ships, satellites and stratospheric balloons are being combined to gain new insight into the monsoon phenomenon. 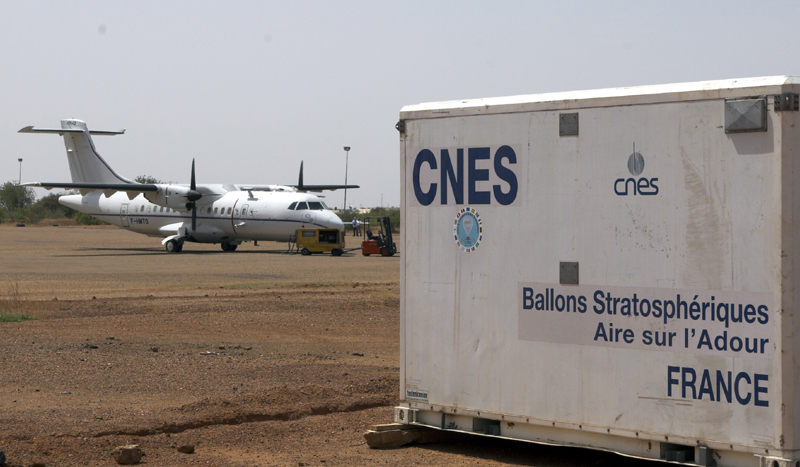 CNES is contributing to the AMMA mission with 3 stratospheric balloon launch campaigns in Benin and Niger. Journalists were invited to the 1st of these campaigns designed to acquire precious data from the lower atmosphere. The balloons will collect regional meteorology data — temperature, pressure, relative humidity, wind speed and direction — as well as information on the monsoon’s formation, evolution and path. 3 successive campaigns are being conducted this summer to study 3 key phases in the monsoon cycle: onset, peak and withdrawal. The 1st series of balloons observed changes in the monsoon boundary layer. Others are exploring the upper troposphere and lower stratosphere. Finally, drifting stratospheric balloons will perform radiosonde observations through all atmosphere layers along trajectories from the south of Niger to the Atlantic. The clear message delivered by international scientists, backed by their African counterparts, left no doubt as to the importance of AMMA studies, not only to improve our knowledge of climate and refine predictive models, but also to provide decision-support tools for more effective management of healthcare, water resources and food security.